Chat over drinks in one of the cozy-chic conversation areas. Soothing neutrals offer a subtle counterpoint to the stunning mountain views. Pull up chairs and relive the events of the day (the slightly embellished version). Once you and the altitude are on good terms, hit the fitness center. The craft beers and pub-inspired fare hits the spot year-round. Do one last gear check on the kids once you get to the Assay Hill Lift. It's only a 5 minute walk from the resort. Round up souvenir t-shirts and helmet stickers in downtown Snowmass, just a 4 minute drive from the resort. Humor the kids with a stop at the outdoor heated pool. The Spa at Viceroy Snowmass offers massages, detox treatments, thermal wraps and facials. Get your daily steps in at Highline Trail, a 7 minute drive from the resort. Snowmass Golf Course is just a 6 minute drive from the resort. Work on perfecting your swing. The posh Viceroy Snowmass is a Jean-Michel Gathy designed, LEED Gold Resort in the heart of the Snowmass Base Village, just seven miles from downtown Aspen. 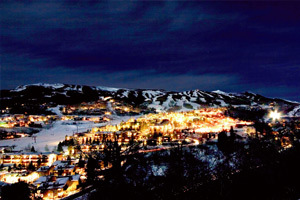 The resort offers ski-in/ski-out access steps from Elk Camp Gondola and Village Express and Assay Hill Chairlifts. And ski and snowboard rentals are available onsite. For those who aren’t quite ready to hit the slopes on their own yet, group or private ski and snowboarding lessons are the way to go. Viceroy Snowmass is dog-friendly, so you don’t have to leave your four-legged family member behind – they’ll have a leash and treats ready when you arrive. And inside your condo you’ll find a dog bed and bowls for food and water. You can even order dog treats through room service and the concierge can arrange dog-walking. After a day on the slopes, stop for après ski sips and snacks, then continue unwinding with soak in one of the hot tubs. Fly fishing, golf, mountain biking and horseback riding are also available, depending on the season. Expect repeated requests for a visit to the year-round heated pool, where (during summer months) you can leave lunch in the capable hands of the folks at the poolside Nest Public House. Inside, Eight K serves breakfast, lunch and dinner, and private dining rooms are available for your party or celebration. You don’t need the “special occasion” excuse to visit The Spa at Viceroy. Stop in anytime for a relaxing massage, facial, mani-pedi or thermal wrap, and respond with a wholehearted yes when they offer complimentary wine or champagne at the end of your treatment. The Spa even offers special services for teens, so they don’t have to miss out on all the fun. Sophisticated one- to two-bedroom condos and studio units feature kitchens or kitchenettes with custom Italian cabinetry, granite counters, premium appliances and coffee or espresso machines. 24-hour room service will come in handy when the kids want a late-night snack and you don’t feel like cooking (or all the good treats are gone already). Gas fireplaces with granite surrounds keep the living room classy and cozy. And HDTVs with DVD players are perfect for a movie marathon. Harry Potter, anyone? When it’s finally time to turn in, you won’t have any trouble getting a good night’s sleep thanks to a day in the fresh mountain air, plus the pillowtop mattresses, Egyptian cotton linens and feather comforters and pillows. Viceroy Snowmass provides easy access to four mountains, all on a single ski pass: Aspen, Aspen Highlands, Snowmass and Buttermilk. The valet provides complimentary transportation to and from the airport, and there’s a free shuttle service throughout Snowmass Village as well. The resort is just three minutes by shuttle to Snowmass Village Mall, where you’ll find everything from sporting goods to ski rentals. Give the kids some cash for Rocky Mountain Chocolate Factory (as long as they promise to share), while you duck into Starbucks for an afternoon pick-me-up. Then continue your quest for the perfect souvenir hats and t-shirts, while keeping an eye out for a shortlist of dinner spots.